For a truly unforgettable spa break, visit Fawsley Hall Hotel & Spa in Northamptonshire. This beautiful country house hotel is surrounded by 2,000 acres of gardens and parkland. It is steeped in an impressive history, with famous visitors including Henry VII and Elizabeth I. For a special treat, experience the afternoon tea which is served in the breathtaking Tudor Hall. Enjoy dining at the Cedar Restaurant, and be sure to visit the tranquil spa for a relaxation session. You can even create your own Day Spa Experience by selecting your desired treatment, two-course spa lunch plus full use of the spa and health club. Other spa days on offer include Escape, to completely pamper yourself, Mother To Be, a pre- and post-natal package, and more. We like to think that a visit to Fawsley Hall’s spa is almost like visiting a sanctuary, a place to revive mind and body. The spa is housed within the original lodge and has been designed to create a calming and relaxed atmosphere where you can totally unwind. Our light and airy oak framed indoor swimming pool looks out over our secret garden and is ideal for an early morning swim or a dip at the end of the day. With six treatment rooms, an outdoor heated hydrotherapy pool, relaxation room, steam room, and sauna, Fawsley Hall’s spa is the perfect location to get away from it all. Fawsley Hall Spa features a modern health club, indoor swimming pool, hydrotherapy pool, sauna, steam room and gym with all Matrix equipment. 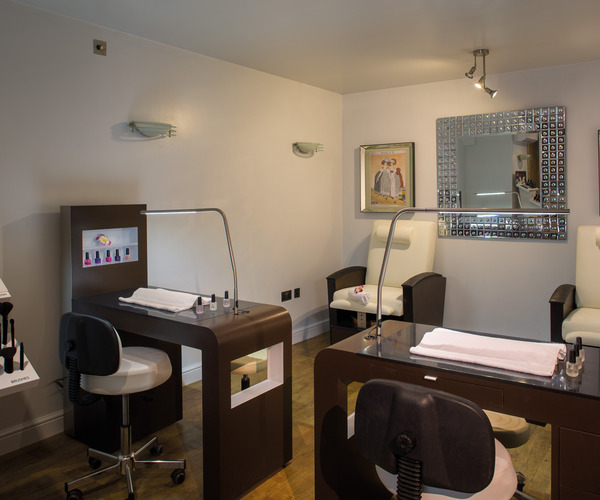 There are a range of pampering spa treatments and packages to enjoy, with luxurious Elemis products used in the spa. Each of Fawsley Hall’s 60 bedrooms has their own unique atmosphere and furnishings. For a truly special stay, book the 1575 Queen’s Suite, where Queen Elizabeth I resided: the room features a soaring room, carved fireplace and luxurious four poster bed. The rooms in the Tudor, Georgian and Victorian wings are also impressive and have spectacular views of the countryside and Fawsley Park. For delicious dining, visit Cedar restaurant for quality ingredients and an impresive menu.The Tudor Bar and Lounge offers more informal dining as well as Afternoon tea. If the weather is fair, experience a meal in the stunning courtyard.